The International Rafting Federation will publish its Top 10 Endangered/Improved Rivers Lists in March 2015. Individuals or organizations making nominations are kindly requested to nominee one river for the 'TOP 10 ENDANGERED RIVERS' list and one for the 'TOP 10 MOST IMPROVED RIVERS' list. Providing as much of the information listed below as possible will help us make the right choice. 1) NAME A RIVER that you wish to nominate for the IRF 'TOP 10 ENDANGERED RIVERS' list. This may be any river you feel is endangered due to damming or diversion, mining, pollution, logging, heavy development, or any other environmental or developmental threat that diminishes water quality, impedes fisheries, or negatively impacts recreational boating opportunities, or similar. 2) Please give us the SECTION(S) OF THE RIVER named above that is of particular interest. This may be a section between two towns, landmarks or geographic coordinates. Your description must be easy to determine by individuals that are not familiar with the area. If you wish to nominate the entire river, please indicate "Whole length of river" in your answer. 3) IMPACTS OR THREATS. Please detail the specific impacts on the river which are, or are likely to be, a threat to recreation (e.g. damming or diversion, industrial or other pollution, turbidity, destruction of riparian areas, changes to landscapes, or any other reasons that caused you to nominate this river). Please tell us the persons, groups, businesses, or government agencies responsible for the threat. 4) LOSS OF OUTDOOR RECREATIONAL ACTIVITIES. Please list what types of outdoor recreation activities will be impacted, or are expected to be impacted by the above changes (e.g. canoeing, kayaking, rafting, swimming, fishing, camping, trekking, etc.). 5) IMMEDIACY OF THREAT(S). Please let us know if the threats to the river are current. If the threat is due to a proposed project, please give us the project date(s). 6) NAME A RIVER you wish to nominate for the IRF 'TOP 10 MOST IMPROVED RIVERS' list. This may be any river that has been recently protected due to government decree, has had a serious threat removed or halted, has had dams or other major obstructions or diversions removed, has been cleaned up, has had active government participation in creating recreation opportunities, or any similar river improvement activities. 7) Please give us the SECTION(S) OF THE RIVER named above that is of particular interest. This may be a section between two towns, landmarks or geographic coordinates. Your description must be easy to determine by individuals that are not familiar with the area. If you wish to nominate the entire river, please indicate "Whole length of river" in your answer. 8) IMPROVEMENTS. Please give us details about the specific changes or improvements that have occurred on this river. Please tell us the persons, groups, businesses, or government agencies responsible for the change. 9) NOMINATING PARTY. Please give us your name, or the name of the organization who is making the nomination. 10) RELEVANT EXPERIENCE. Please tell us the relevant experience of the person or organization making the nomination. This may be personal experience, scientific or professional involvement, river protection activism, boating experience, or any other related experience with the nominated river. 11) CONTACT INFORMATION. Please provide us with your contact information so that we may follow up with additional questions if necessary. EMAIL, ADDRESS, PHONE. 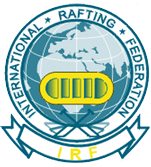 12) Would you like to sign up to receive the IRF's newsletter? It is sent, on average, once a month.